Tanzania is home to Kilimanjaro, the highest mountain in Africa, as well as the world-renowned Serengeti National Park while the romantic spice island of Zanzibar is a visual delight of dazzling white sand beaches and impossibly blue sea. It’s the call of the wild which draws visitors to Tanzania. A magnificent country, Tanzania is the quintessential image of Africa, with legendary travel destinations like the Serengeti, Mount Kilimanjaro, Lake Tanganyika, Lake Victoria, Lake Manyara, the Rift Valley and the Ngorongoro Crater. 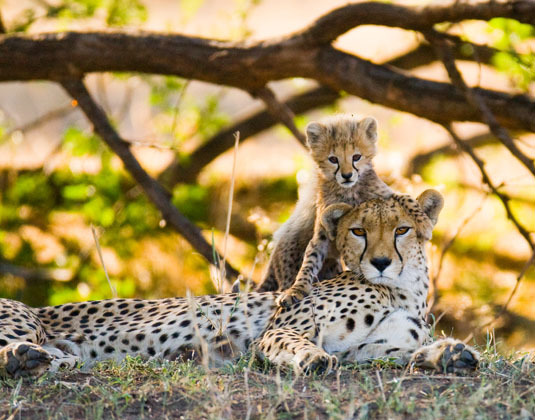 Lying just south of the equator, Tanzania is East Africa’s largest country and an immensely rewarding place to visit. Great plains abound with legions of game, snow-capped mountains soar above dusty valleys and rainforests teem with monkeys and birds. Over a quarter of the country’s land is devoted to national parks and game reserves, so everything from pristine coral reefs to remote game reserves are protected. 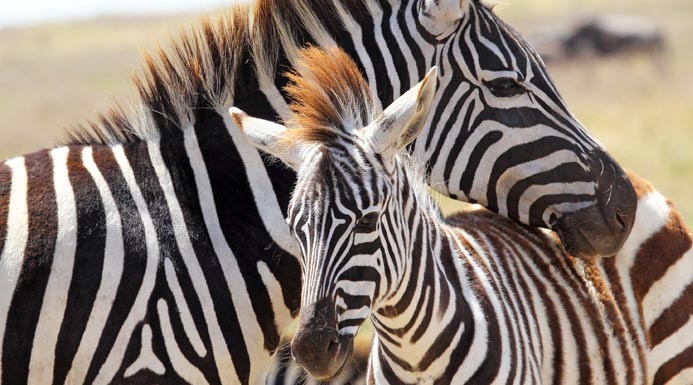 For game viewing, the incomparable Serengeti has a reputation of which it is justly proud and is also the setting for the world’s greatest wildlife spectacle, the annual migration of an estimated two million animals as they search for greener pastures. 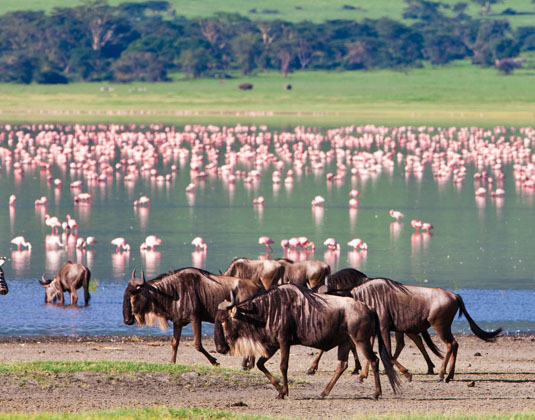 Nearby, within the walls of the Ngorongoro Crater lies the most densely concentrated population of African mammals on earth, including lion, elephant, buffalo and the endangered black rhino. Kilimanjaro National Park is one of Tanzania’s most visited regions – not for it’s wildlife, although there is plenty – but to enable you to gaze at the snow-capped majesty of the mountain itself. The very name Zanzibar conjures up visions of magic and mystery thanks to its past of slaves, sultans and spices. Today, Zanzibar is a small idyllic island paradise of white sands and swaying palms. 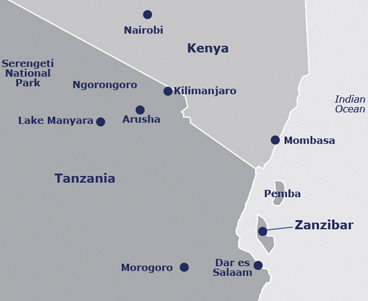 Why visit Tanzania and Zanzibar? Our vastly experienced travel advisors are passionate about Tanzania & Zanzibar. With first-hand knowledge of when and where to go they can create the perfect holiday experience for you, at the best possible price. Flight duration: Kilimanjaro is approximately 12 hours from the UK (via Nairobi) while Zanzibar is approximately 1 hour 20 minutes flying time from Kilimanjaro. Recommended airlines flying non-stop to Kilimanjaro: British Airways (via Nairobi). Best time to travel: The climate of this vast country varies greatly. Generally, game viewing is at its peak from June to October while Zanzibar receives its best weather between August and October. Additional airlines also flying indirectly from the UK to Kilimanjaro: Etihad Airways (via Abu Dhabi & Nairobi), KLM (via Amsterdam), Kenya Airways (via Nairobi), Qatar Airways (via Doha & Zanzibar) & Turkish Airlines (via Istanbul). Local time: GMT +3 hours. Language: English and Swahili are the official languages.